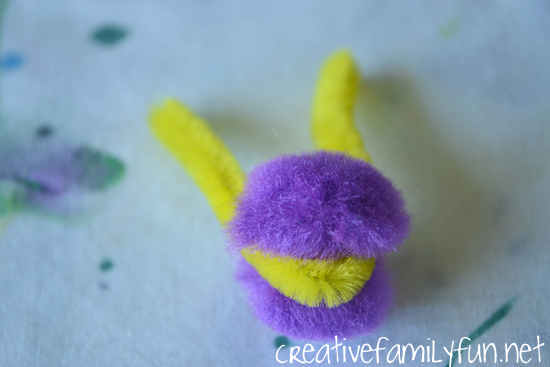 Did you ever make a pom pom caterpillar as a child? I did! I think so many others did too. It’s definitely a classic craft that’s been made over and over again throughout the years. 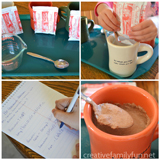 So, I definitely wanted to try this with my own kids. 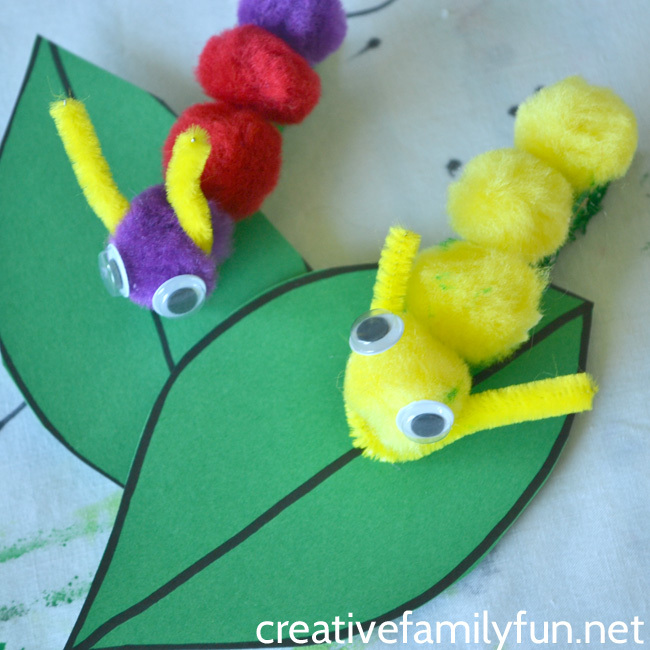 We added our own little twist by making a cute little leaf for our caterpillars. 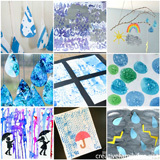 This is a perfect project for kids of all ages. 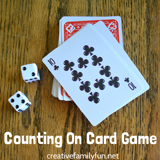 Toddlers and preschoolers may need a little bit of help. 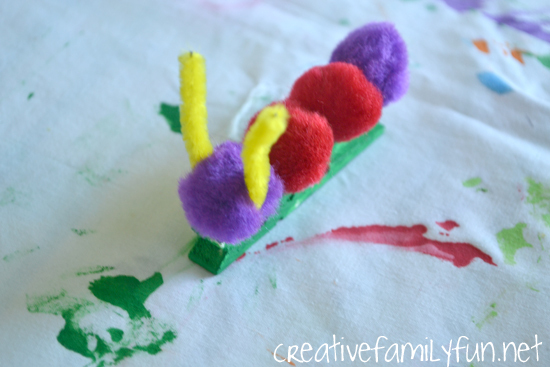 But, I originally made this craft with a 4- and 6-year old, who both made their pom pom caterpillar with very little help. 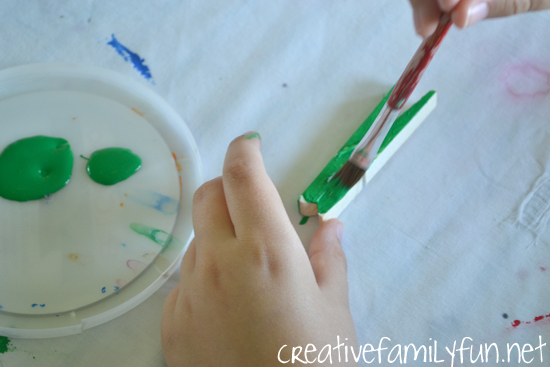 First, paint your clothes pin with the green craft paint. 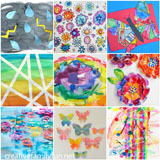 You’ll want to paint all sides. While you’re waiting for your paint to dry, draw a simple leaf shape on your green card stock. Then, outline it in black and cut it out. Choose a pom pom for the head and wrap a piece of pipe cleaner around it (see picture above). I cut off approximately 1/3 of the pipe cleaner for each caterpillar. You don’t have to glue these two pieces together at this point. Glue your head to the part of the clothes pin that opens and clips. Since your pipe cleaner is wrapped underneath your pom pom, it will get glued too. 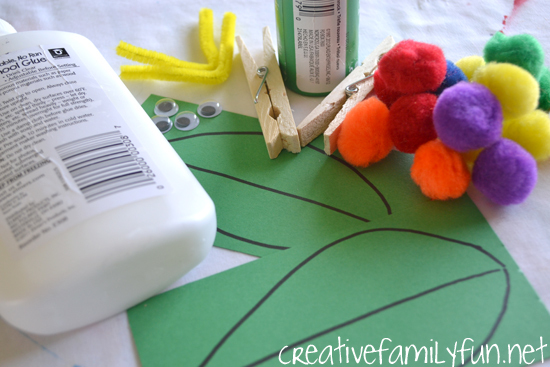 Next glue down the rest of your pom poms in a line down your clothes pin. To make it easier on the girls, I squirted some glue onto a plastic lid. They dipped their pom poms in the glue making sure there was plenty of glue, then stuck the pom poms to their clothes pin. 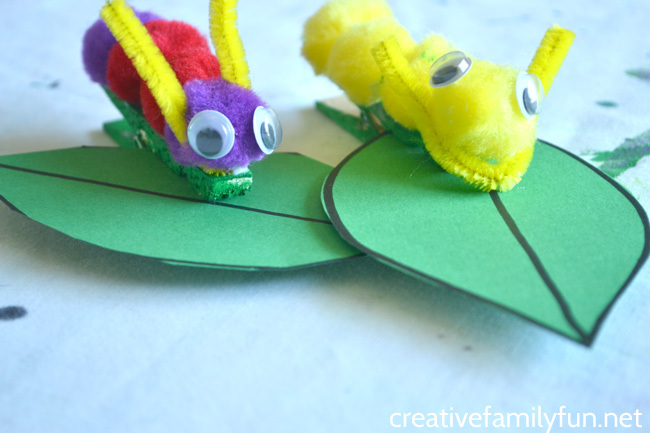 Next glue your googly eyes to the head of your caterpillar. 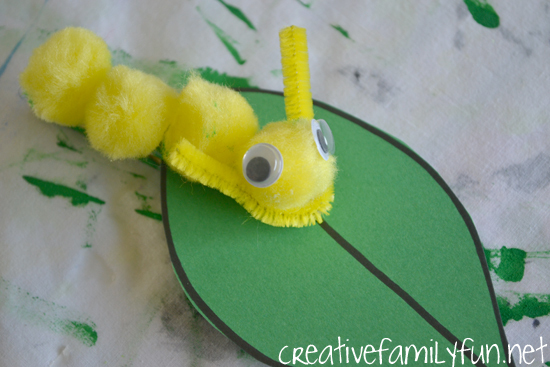 Let it dry completely and then clip your cute little caterpillar to their leaf. 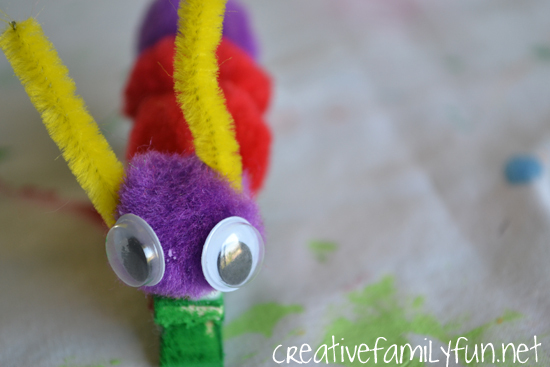 Did you make a pom pom caterpillar as a child? I did and that’s why I wanted my girls to try this project too! 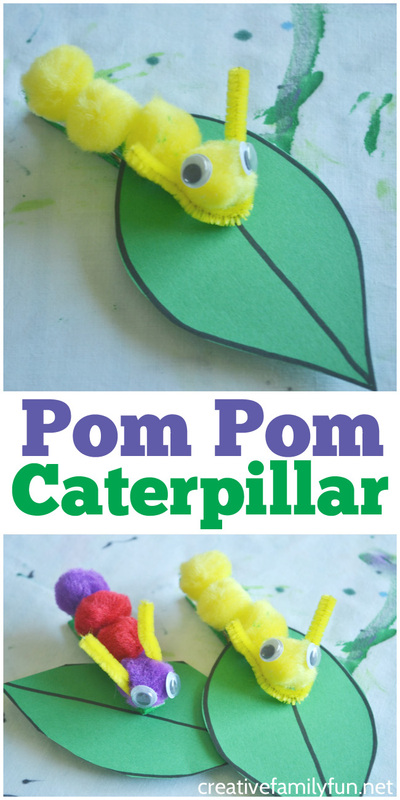 If you enjoyed this pom pom caterpillar craft for kids, the above photo is perfect for sharing on Facebook, or you can save the photo below on Pinterest.